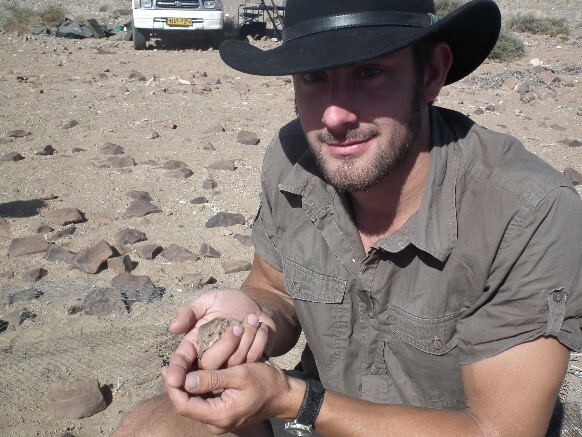 My research interests are varied and include large carnivores, rhinos, small mammals (especially elephant-shrews or sengis), and desert plants. In addition to research much of my work has been focused upon operational wildlife security and wildlife crime as an anti-poaching officer. I am a trained hostile environment close protection operator and bring skills from the human security sector into wildlife protection (and occasionally vice versa). Primarily I have been involved in the reactive protection of large, valuable species such as rhinoceros and elephants. I have trained wildlife rangers across a range of global settings and retain an active interest in the training of anti-poaching and security personnel. Recently I have become increasingly engaged with considering the ethical dilemmas associated with militarized conservation. My current research investigates the international trade of lion (Panthera leo) bones and body-parts through an inter-disciplinary framework, including; the use of forensic methods for regulation of trade and countering the laundering of illegal lion products, investigating demand for lion products in East Asia, and exploring the impacts of the changing trophy hunting industry on lion trade and wild lion populations.